In 2016, St Katharine’s school, at 43 Escombe Road, celebrates its Centenary. The school was started by Ethel Fielding, who came out to the Transvaal from England at the age of twenty-five. 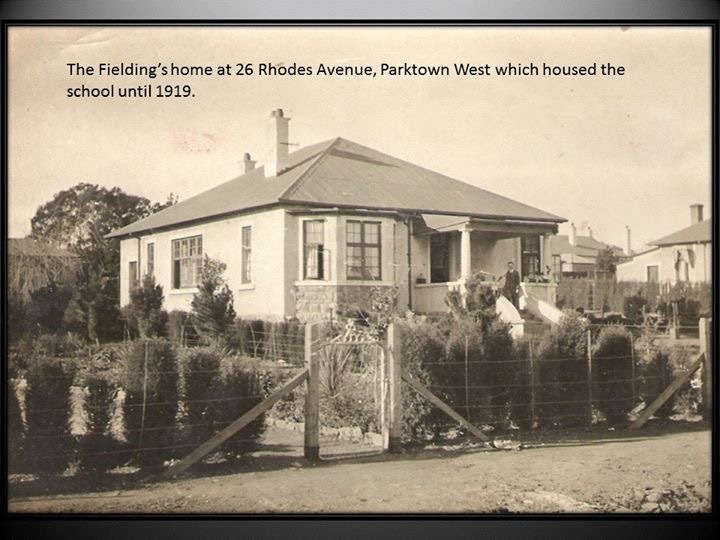 It began at “Norkap” in Barclay (now Barkly) Road in 1913, but was moved to Richard and Ethel Fielding’s own home on Rhodes Avenue where it was constituted in 1916. In 1919 a shell of a house was built at 43 Escombe Avenue and the school moved in with 28 pupils. By 1928 the school was well established – and even had its own tennis court!